This is the section of the website where Press Releases (PR) and News from Dr. Nicki J. Monti & More will be posted for your consumption. For additional information on PR/News, please email pr@stucknomore.com. Dr. Nicki featured on "Millionaire Matchmaker"
Click to watch the video transformation on this episode of Millionaire Matchmaker with special guest Dr. Nicki. Dr. Nicki featured on "Love Handles: Couples in Crisis"
Lifetime Television's hour-long docu-series called "Love Handles: Couples in Crisis" features Two overweight couples battle the bulge and their relationship problems. 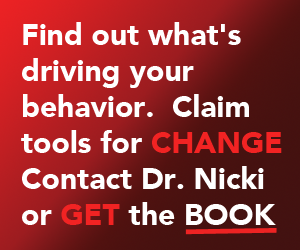 Dr. Nicki is brought for her expertise no-nonsense approach, as well as, her extraordinary compassion and gets down to the real issues, instantly. Dr. Nicki's online articles section having new articles written by Dr. Nicki added regularly. Be sure to visit this section of the website by clicking here or the Articles button on the menu. 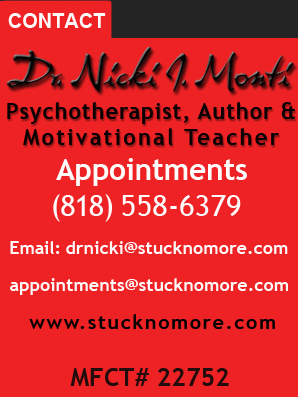 Dr. Nicki's online classes/courses section will be launching in April. Dr. Nicki is developing online classes/courses that are truly engaging, educational and information. We will keep you updated when the official classes online are launched. You can view sample videos and topics on the Online Classes section by visiting this section of the website by clicking here or the Online Classes button on the menu.